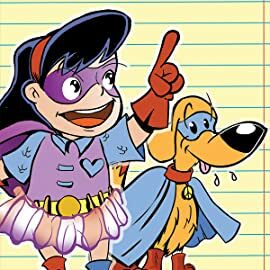 Zoey has a big imagination! 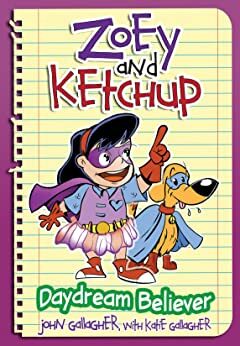 And the comics and cartoons she draws (with the help of her pencils and paper) can take her anywhere- and she's bringing her dog, Ketchup, and little brother Zack, along for the ride! 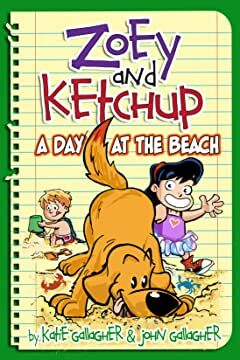 In the spirit of Diary of a Wimpy Kid and Calvin and Hobbes, Zoey and Ketchup takes readers of all ages on a fun-filled trip inside the minds of a girl and her dog, as they battle boredom, escape danger, and hunt for the elusive GOLDEN PICKLE!